Show & Tell: On Ray Harryhausen’s Fairy Tales | "DESTROY ALL FANBOYS!" In regards to every well-worn fairy tale, “It’s not the tale, but how it’s told” is the order of the day. Parents and other creative adults well-versed in story time voices and acting have this mantra branded on their brain cells and know how to make any yarn they spin keep kids at rapt attention. 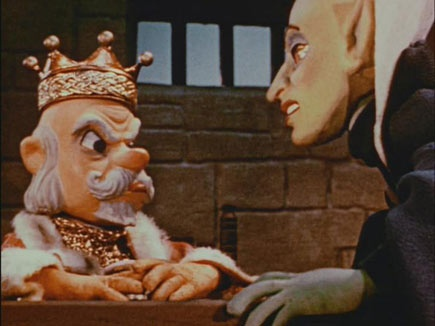 Still, for many of his longtime fans, Ray Harryhausen’s incredible stop-motion versions of Mother Goose stories and five classic fairy tales are some of the most memorable versions ever created. Save for The Tortoise and the Hare (which was incomplete until its 2002 premiere), I can recall some of these films along with his earlier Mother Goose shorts being shown during assembly hall sessions or in the occasional class where a regular teacher was out sick and the substitute called in hadn’t time to whip up a proper lesson plan. While most of these 16mm shorts were part of my childhood, I’d imagine plenty of today’s little (and more tech savvy) whippersnappers haven’t a clue who Harryhausen was or what made (and still makes him) him great and such a huge inspiration of countless filmmakers and visual effects artists to this day. In his versions of five popular fairy tales Little Red Riding Hood (1949), Hansel & Gretel (1951), Rapunzel (1951), King Midas (1952), and The Tortoise & The Hare (1952-2002), Harryhausen’s skill as an animator is simply astounding for someone not even thirty years old. The leap in technique from his military “training” films (Ray was part of the US Army’s Special Services Division under Colonel Frank Capra and worked at home on those shorts) to the Mother Goose stories above to these more fully fleshed out and wonderful fairy tales is remarkable. If you can tear your own kids away from their devices for a few minutes, they may even (and heck, should be) be impressed with Harryhausen’s outstanding work ethic. That said, reviewing each short is a bit of a thankless and goofy task. Most adults raised with them know these tales by heart and can probably recite them backwards while holding a closed book of collected fairy tales upside down in a closed safe. However, as noted at the beginning of this article, Harryhausen’s telling of these tales makes them fresh and surprising. While he animated every frame himself, Ray was smart enough to rope in his talented father and mother, Fred and Martha as assistants. Fred built the armatures and probably helped with the detailed sets, and Martha sewed the costumes for his characters. This shortened the considerably lengthy animation and production process, allowing Ray to put even more attention into making each film as perfect as he could. In the case of The Tortoise and the Hare, it was incomplete until its 2000 restoration and resumption of filming by filmmakers Mark Caballero and Seamus Walsh using Ray’s original puppets on painstakingly recreated sets. Harryhausen himself stepped back into animation for some scenes and the results are a near flawless short that looks as if was pulled from a time capsule. 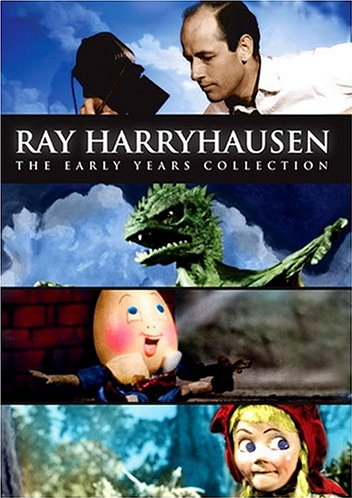 Amazingly enough, while Ray’s work has been heralded here with a number of DVD and Blu-Ray releases and collections, the two-disc set I tracked down (Ray Harryhausen The Early Years Collection), isn’t even available as a NTSC release. Of course, anyone who has access to a region-free DVD player or computer with an all-region movie player should grab this and keep it around just to have a record of the man’s early works. The set shows his later, more polished films such as The 7th Voyage of Sinbad, Jason and the Argonauts, Mysterious Island and others were the end results of all his efforts as a teenager up to his first major professional film work assisting his mentor Willis O’Brien on 1949’s phenomenal Mighty Joe Young. O’Brien won an Academy Award for his work, but the young Harryhausen certainly deserved half of that statue and more credit than he got at the time the award was handed out. The set has The Mother Goose shorts, all five fairy tales noted above and a bunch of Ray’s early work and tests for aborted projects. In addition, there are a wealth of special features and tributes to the man from filmmakers inspired by his work. Everything clocks in at under four hours, so it’s an excellent weekend watch if you need to corral the kids and get them interested in a bit of cinema history while teaching a bit of respect for the past. I’ll admit it will be tough to get some kids more used to slick CGI effects to appreciate what’s here. On the other hand, feel free to challenge them to look up the process of creating old-fashioned stop motion animation and maybe they’ll be intrigued enough to set aside some time to try making a short film or two of their own. This entry was posted in Updates and tagged 1950, 1950's, 1951, 1952, 1953, 2000, 2002, Animation, Classic Film, DVD, Entertainment, Fairy Tales, Family Films, Kid Stuff, Movie Clips, Movies Silently, Nostalgia, Random Films, Ray Harryhausen, Ray Harryhausen The Early Years, The Fairy Tale Blogathon, YouTube by geelw. Bookmark the permalink. Thanks for another great review! I remember seeing these on one of those “500 cartoons for $1.99” boxes. The animation absolutely enthralled me. I didn’t know who Harryhausen was but the animation stuck with me. Ha! I just realized that I’d seen some DVD’s a few weeks back like that with horror, sci-fi, and cartoons on each and I bet that all of those Harryhausen shorts (save for The Fox and the Hare) were on one of those sets. Oh well. I like the DVD I got because of all those special features that are fascinating to watch a few times. It’s incredible just how many people were influenced by Ray’s work. “I can recall some of these films along with his earlier Mother Goose shorts being shown during assembly hall sessions or in the occasional class where a regular teacher was out sick and the substitute called in hadn’t time to whip up a proper lesson plan.” You were lucky. We had to watch The Absent-Minded Professor (the original one) or Son of Flubber. You are right, we would all do well to study Ray Harryhausen’s work ethic. Thank you for sharing with all of us. The funny thing? 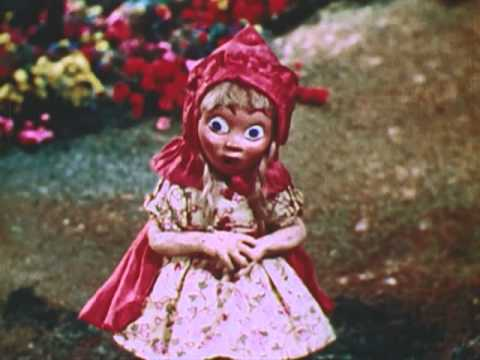 They kept showing those Mother Goose shorts so many times that I didn’t like them after a while. Fortunately, I got older and wiser! These are adorable! I don’t remember seeing any of these when I was a kid, and I’m starting to feel a little ripped off. Wow I didn’t know Ray animated so much of this himself, but happy to see he roped in the family. 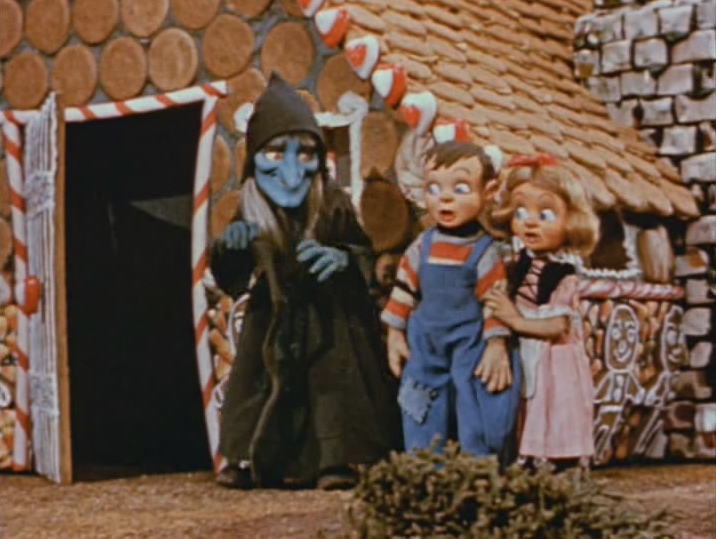 I remember being a bit creeped out by this when I was a kid but now it seems so sweet!